We enjoy every minute's visit to the Lee family. They are very warmhearted & welcoming. We enjoyed our visit very much! We learned a lot about Japan and family living. Thank you. 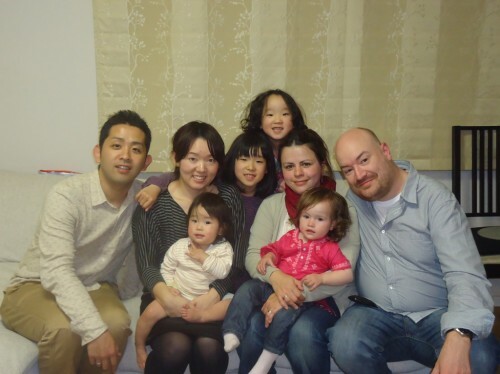 We loved meeting the Usui family and playing with the kids. They are very welcoming hosts. 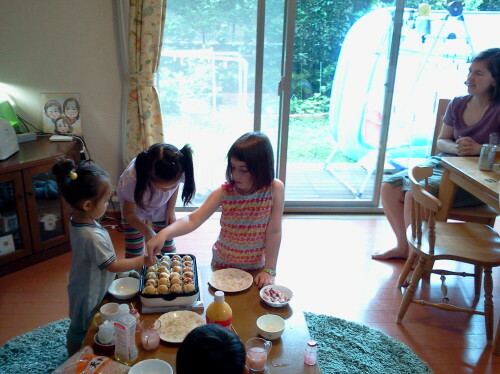 The home made Takoyaki were delicious, and everyone got to help to cook. We had a wonderful visit! 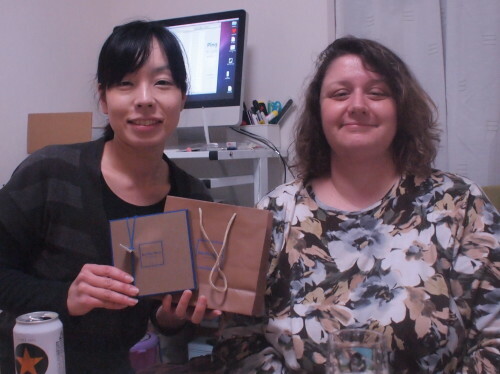 The Nishimura family was very welcoming. 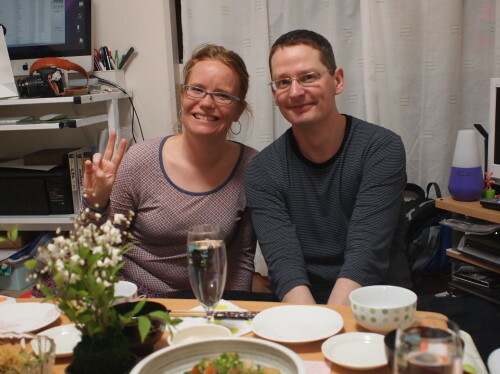 Emi was a fantastic host and we had a lot of fun with her two boys, Kai and Yu. My mother was especially pleased with the visit. 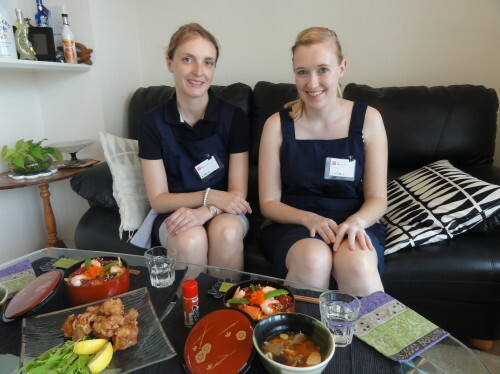 For her, it was the only chance to visit a real Japanese home (we keep our home mostly American style here in Japan!) 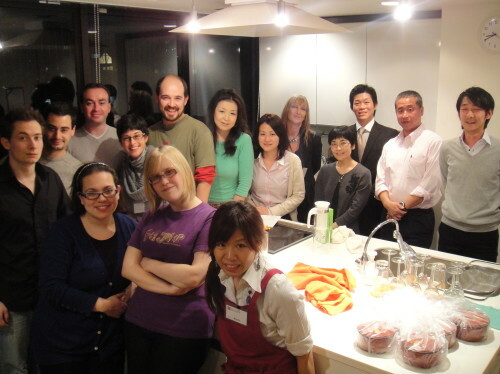 and eat regular home-cooked Japanese food. 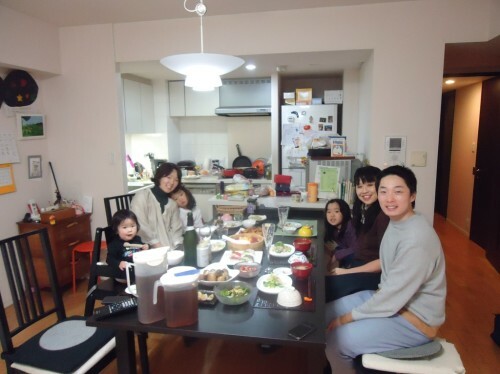 Emi's dinner was delicious and we went home very full! 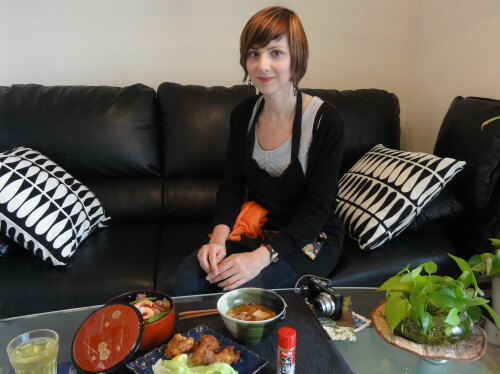 See more comments about her experience of home visit on Mandy's blog Uncovering Japan (http://uncoveringjapan.com/2012/07/02/experience-nagomi-kitchen-home-visit/). 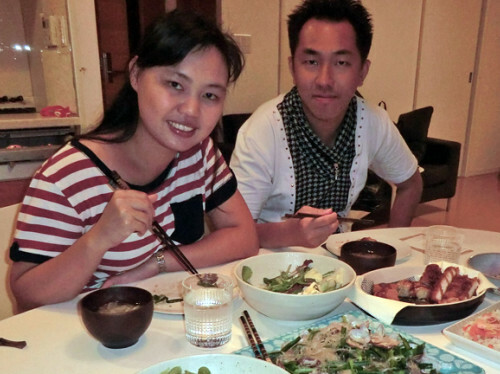 The food was DELICIOUS, the conversation was super interesting and we felt really welcome by the whole family. Our hosts made their absolute best to make us feel like at home. The whole experience was GREAT! Nothing could have been better! We really liked everything: very impressive plate with sushi, yummy katsu (I think that is the name), broccoli and cucumber salads, natto rolls. Super awesome experience. The family is so accommodating and so friendly. 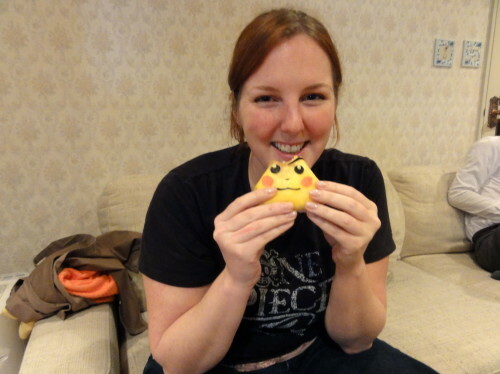 This is no doubt the best and most memorable experience I have in my visit to Tokyo :) Ichiban!! The Muro family are very friendly and hospitable. Food was delicious and now I even know how to prepare green tea. Will definitely recommend to family and friends who are traveling to tokyo to include this program in their itinerary. Muro family are really friendly and welcoming. They are really generous with the food and took note of what we do not eat. Love how they are so chatty and kept the atmosphere so nice, and the experience of the tea ceremony is really awesome. Learned a lot and the opportunity to try out is one-of-a-kind that you do not get to experience in other parts of the world. Great food! 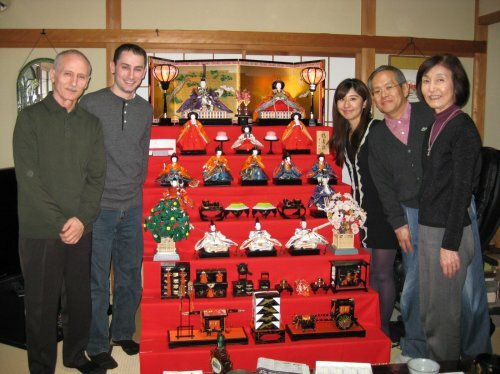 The Kawamata's are really friendly and nice people. We had a really enjoyable evening. 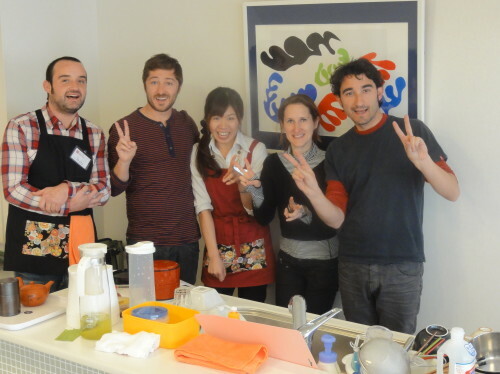 Besides being great cooks we got a great insight into everyday Japanese life. I absolutely recommend it. The family experience was unique for both of us. The family was very friendly and very nice. 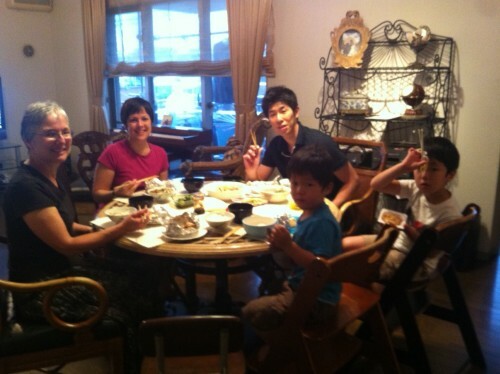 The hospitality was so wonderful and we were so happy to meet and share cultual experience with the Suzuki family. The experience was very enjoyable! 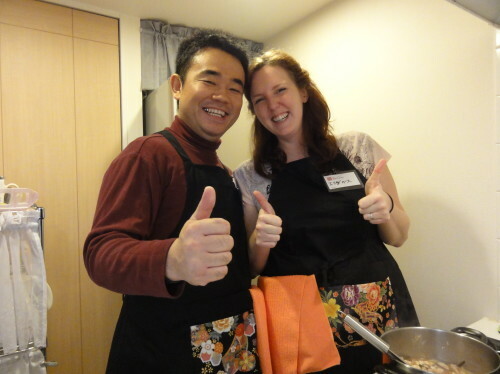 Kana and Takeshi are wonderful hosts. The food was delicious and the conversation was friendly and informative. 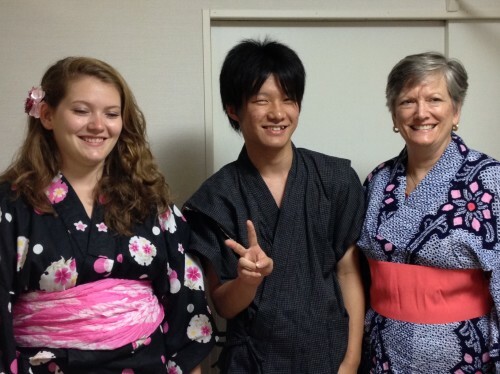 They helped us plan our trip to Osaka and Kyoto. We loved everything Kana and Takeshi served us. My favorite was the Chirashizushi. Jaannie liked the Takoyaki best. 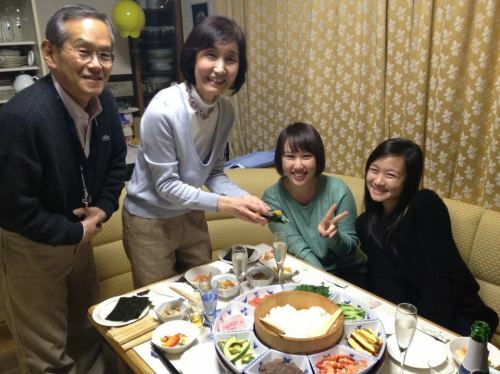 Masako was the most happy person in Japan. Everyone was really great and the food was delicious.All of the food was very good. The plum wine was excellent. This experience was wonderful! The people are very kind, prepared, it was easy to follow the recipes, also because they explained us the ingredients before. I suggest this experience to everybody! I wish to come back to learn new dishes. Thanks a lot! 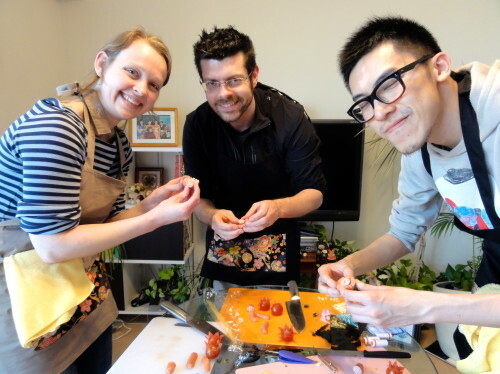 So fun to learn how to make Japanese food. I loved how hands on this was and the variety of food we were able to make & try. Very nice experience. I like that it's hands-on, not only watching someone else cook. Was really well organized and it was a very memorable, fun experience. I always enjoy your classes. 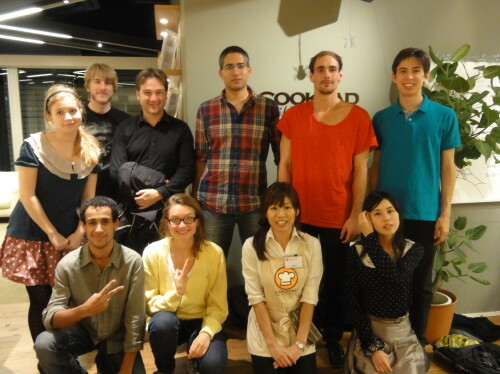 You make Japanese cooking fun and easy to understand! I hope to learn more in the future. Great idea by two ladies! 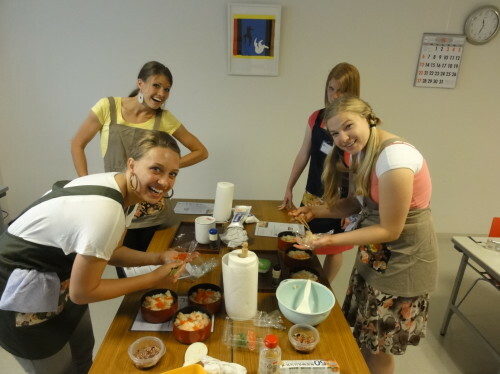 Cooking Japanese food is a great way to understand the Japanese culture. I enjoyed myself very much. Arigato! Oishi-desu yo! I had a lot of fun and was very comfortable. If I am ever in Japan again, I will sign up again. The kitchen is very nice. Very spacious, charm, lovely place. The instructor is a very kind & lovely person. I had a lot of fun and would join again if I have friends visit. Very welcoming and supportive. Had fun learning how to cook dishes I can impress my family with!! Would come again. It was really great. 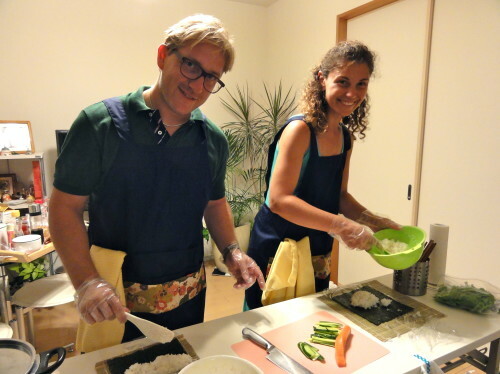 Now I learned more about Japanese cooking and can make it at home. I especially liked the chicken.